I would like more information about 210 16th Street, Unit O. Just a 3 block walk to the beach! 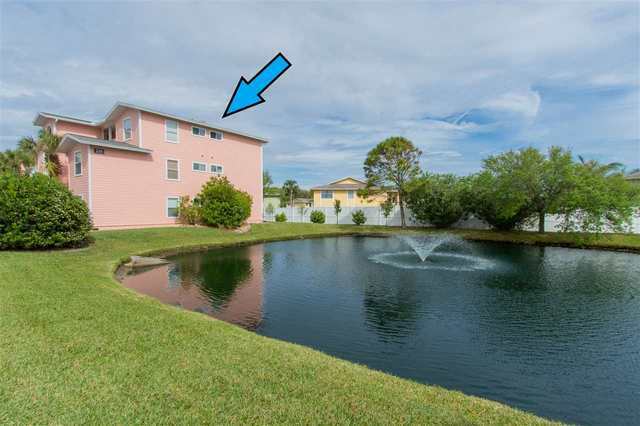 Enjoy the sound of the ocean from this top floor corner unit in Anastasia by the Sea. This 2 bedroom/2 bath unit has an open floor plan and plenty of light. The balcony allows for great sunrise views and is walking distance to Sunset Grille, Salt Life and the Pier. Hot water heater 2015, washer/ dryer 2018 and laminate wood floors. Community pool, dedicated parking space included and furnished! This complex is one of 2 on the island that allows VA financing! Addnl Marketing Remarks: Owner has paid $15K special assessment for new balcony/walkways and other improvements in this complex. Construction will occur during April 2019 and to be completed by mid May. Please use caution during showings while the construction is occurring. The screen around the balcony will not be replaced after construction. Directions: From SR 312 take beach business A1A south and turn left on 16th street and turn left at sign for Anastasia by the Sea and drive straight to back of development to pink building 210.